Colourful cotton kantha scarf from Bangladesh. Colourful cotton Fairtrade scarf from Bangladesh. 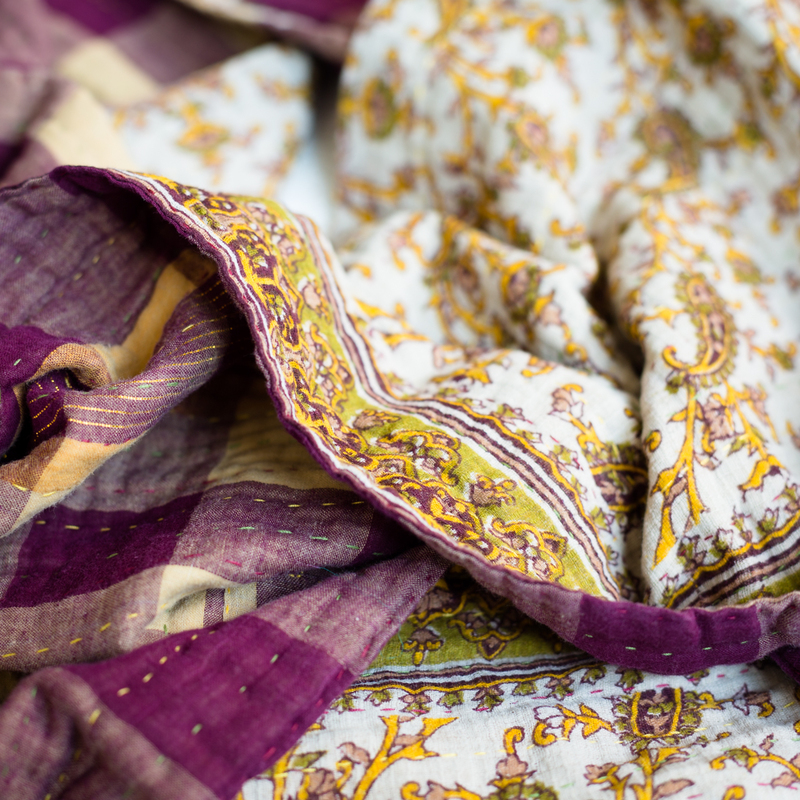 The scarf is made by hand from two vintage saris by women artisans from Basha. 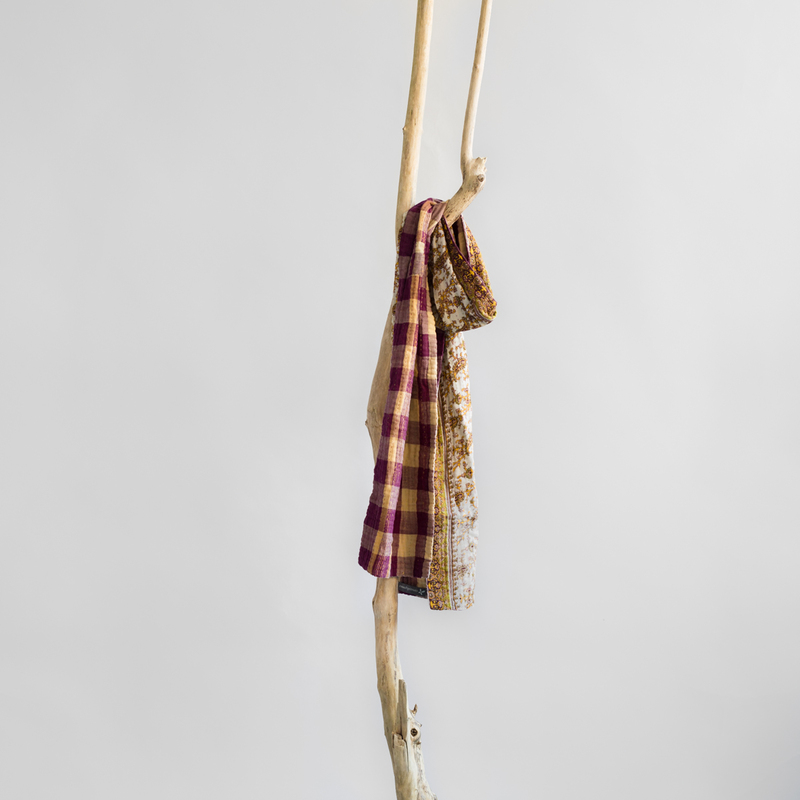 They created the scarf in typical kantha style: with small patches and even stitches.